PORTLAND — Points were at a premium. 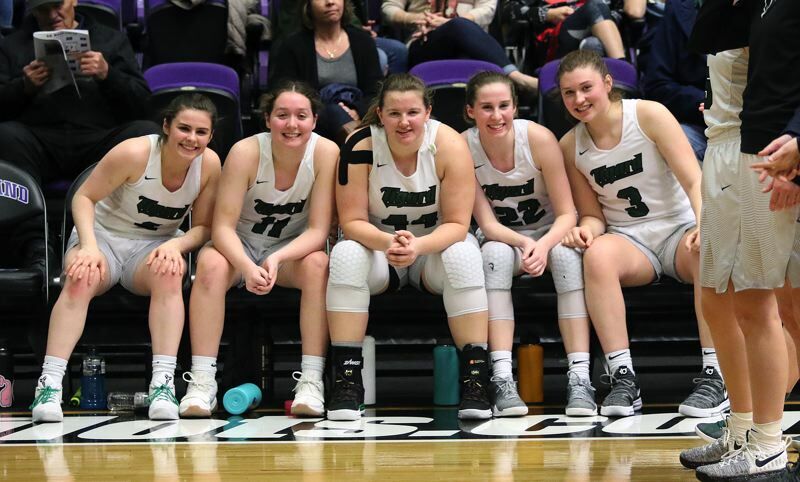 And, as usual, the Tigard High School girls basketball team's defense was up to the task — limiting Benson to just 32 points. But, unfortunately for the Tigers, they didn't score enough points of their own. 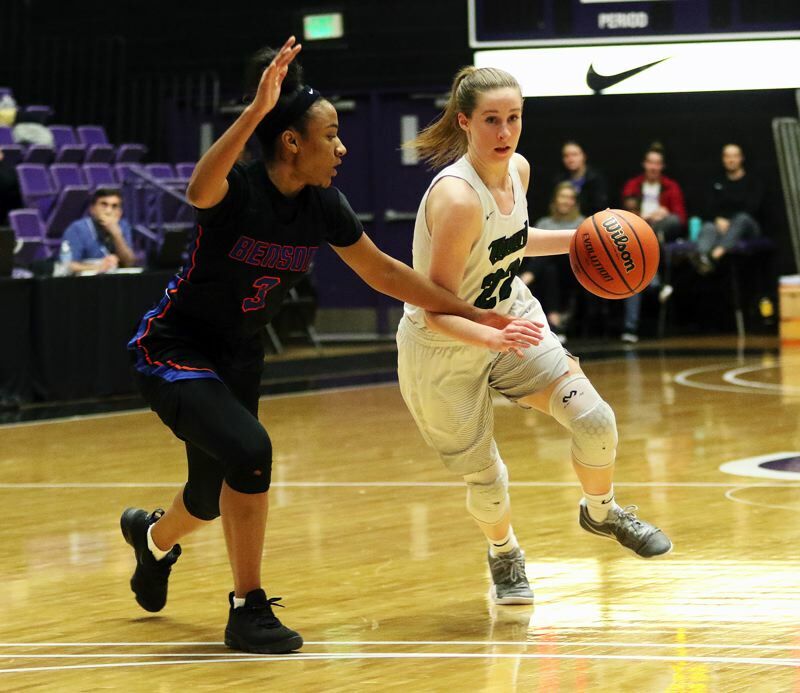 Benson, jumping off to an early advantage, and then fighting off Tigard the rest of the way, scored a 32-28 win over the Tigers in a Class 6A state tournament quarterfinal game played Wednesday at the University of Portland's Chiles Center. 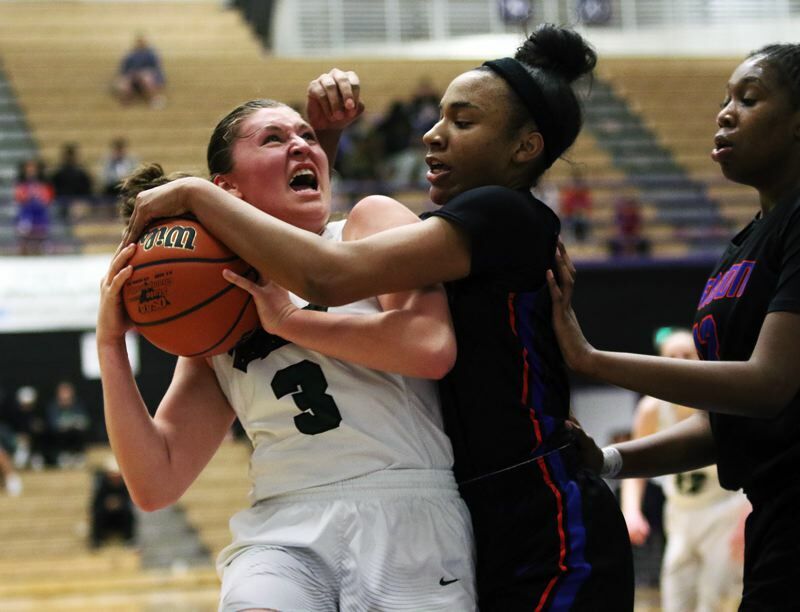 "We held them to 32 points, which is what we wanted, but we just didn't get that many looks," Tigard junior guard Paige LaFountain said after the game. "We didn't get as many looks as we wanted to, but when we did get looks, we were hitting them. We just needed some more." 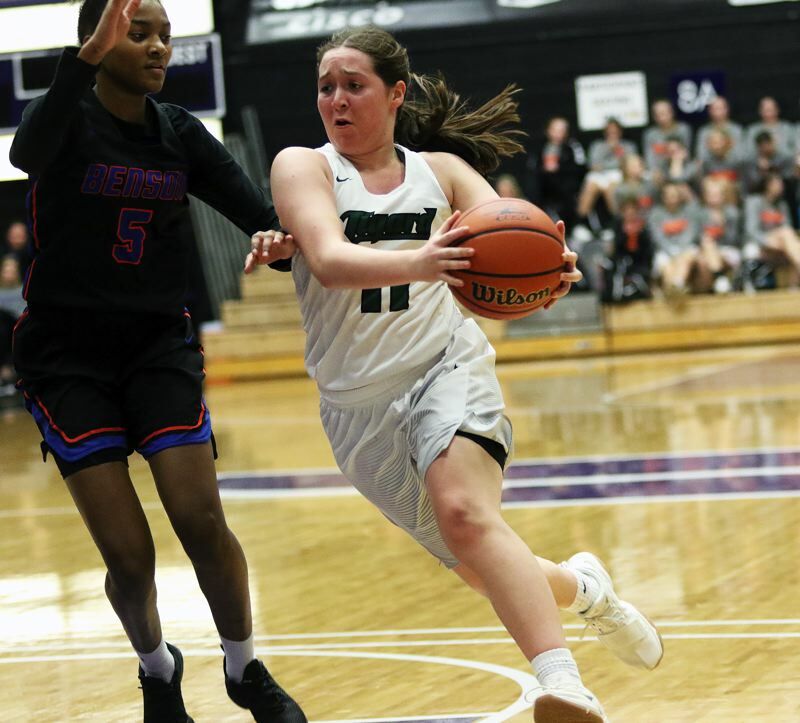 "It was a really tough match-up for us," said Tigard sophomore guard Delaney Leavitt, who led the Tigers with 10 points in the contest. "I thought we played really hard, but we didn't shoot very much. They had a lot of pressure on, and we just couldn't get it going." With the win, Benson, the Portland Interscholastic League champion and the No. 7 team in the final OSAA power rankings, improved to 22-5 on the season. 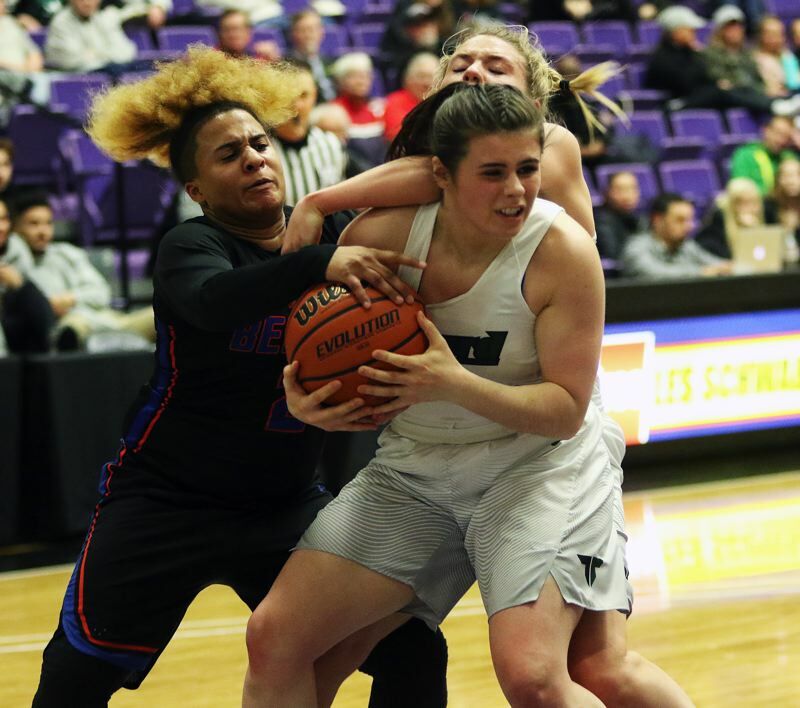 The Techsters also advance to face Beaverton in a state tourney semifinal game on Friday, starting at 3:15 p.m.
Tigard, the Three Rivers League champion and No. 2 team in the power rankings moved to 23-4 on the season with the loss, its first setback since Dec. 21. "They're a really good team," Leavitt said. "It was a good game." "We just couldn't get on top," Tigard coach Steve Naylor said. "That was the most athletic team we've played all year. We've got some athletic girls, but not that big." 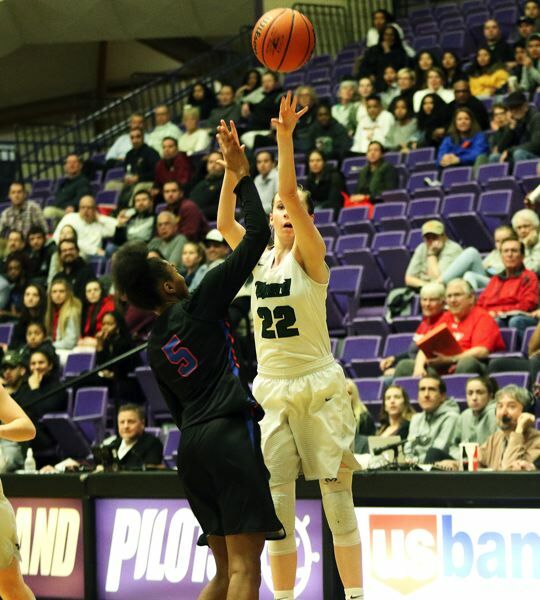 Tigard, struggling to find its shooting touch early in the contest, found itself facing a quick 6-0 deficit in the quarterfinal contest. 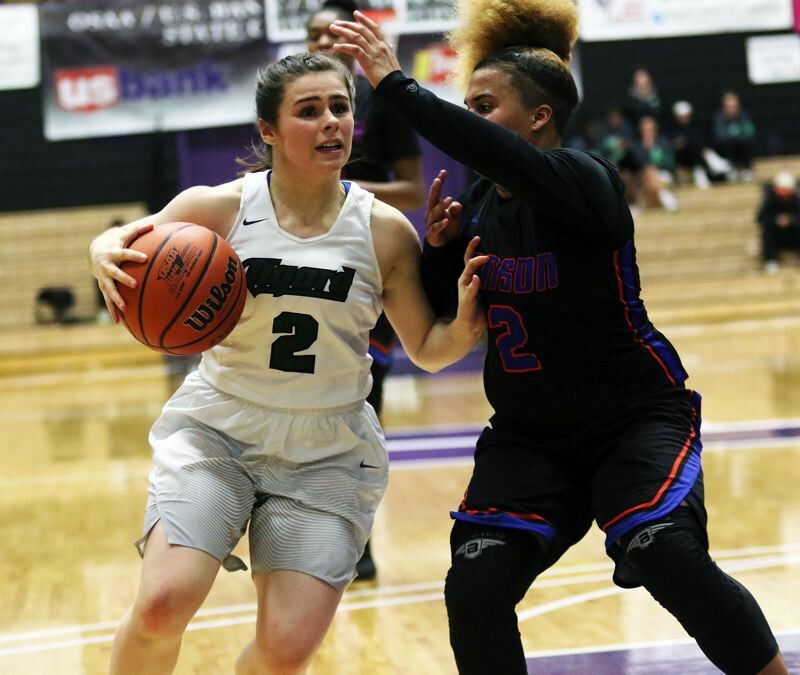 But a 3-pointer by LaFountain and a pair of free throws by junior guard Campbell Gray helped Tigard trim the margin to 6-5 at the end of the first quarter. The Techsters opened the second quarter with a 7-0 run, which included six straight points by junior wing Tayler Lyday, to open up a 13-5 lead with 4 minutes and 36 seconds left to play in the first half. But, again, the Tigers came battling back. Leavitt hit back-to-back 3-pointers, coming off assists by LaFountain and senior Gabby McGaughey, to trim the lead to 14-11 with 2:18 remaining in the second quarter. A free throw by Gray, coming with 1:38 left in the period, made the score 14-12 at halftime. 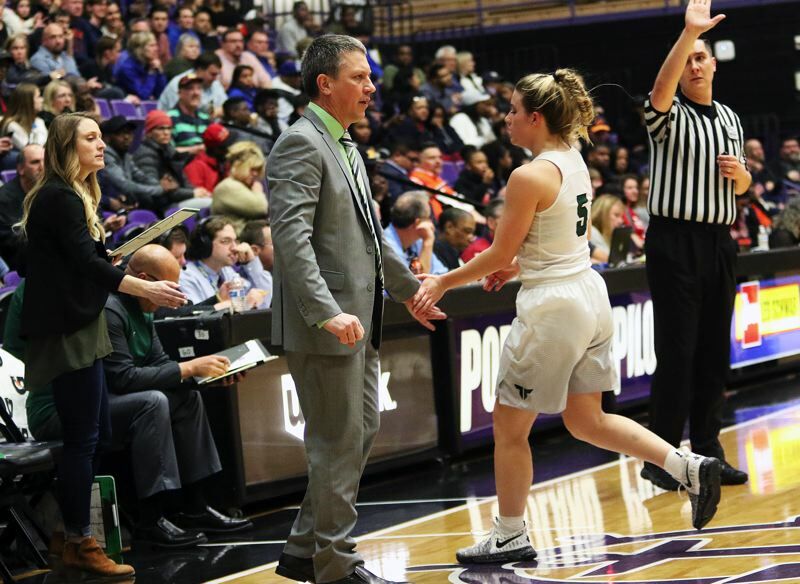 Leavitt opened the third quarter by sinking a 16-foot jumper, off a pass from LaFountain, and LaFountain followed that up with a free throw, giving the Tigers their first lead of the game, at 15-14, with 6:59 left in the period. 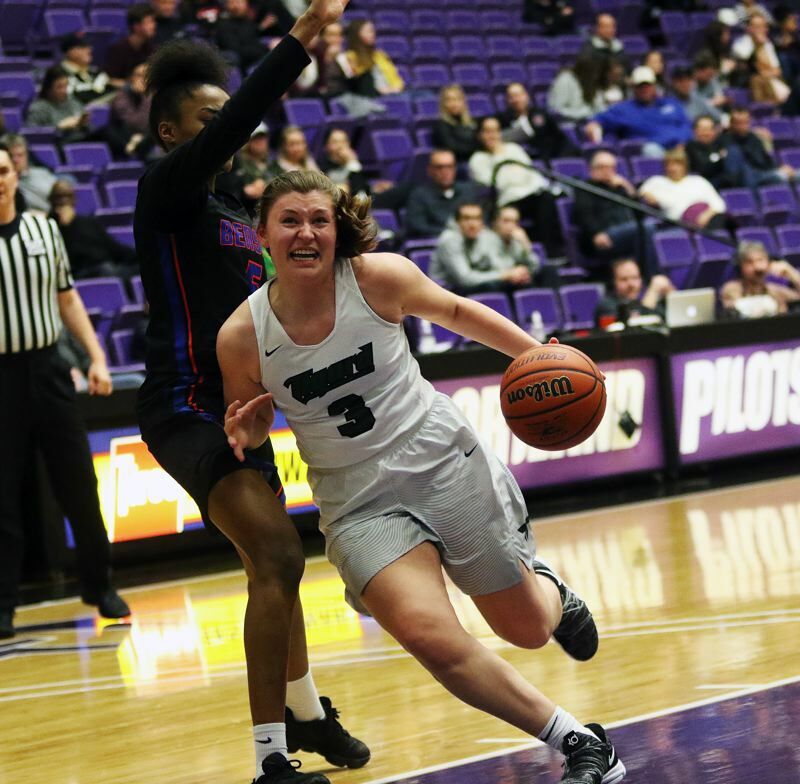 Tigard again led, at 16-15, after Gray went 1 for 2 at the free-throw line when she was fouled, following a steal, with 6:14 left in the quarter. Benson answered back with five straight points from sophomore Aujae Yoakum, including a 3-pointer, giving the Techsters a 20-16 lead with 2:31 left in the quarter. Tigard, getting a pair of free throws from sophomore guard Kennedy Brown, trimmed the margin to 20-18 going into the fourth quarter. The intensity picked up in the final stanza. Tigard got baskets from Brown and Leavitt early in the fourth quarter. And a pair of free throws by LaFountain tied the game at 24-24 with 3:52 remaining in the contest. Benson answered with back-to-back baskets by junior Makenzy Porter and Yoakum to take a 28-24 lead with 2:00 left to play. Tigard fought back again. A free throw by Gray and, following a steal by McGaughey, a driving basket by Gray, following an offensive rebound by McGaughey, got the Tigers within one, at 28-27, with 1:04 remaining. A layup by Porter gave Benson a three-point lead. Tigard got the margin down to two, at 30-28, when Brown went 1 for 2 from the stripe with 36.0 seconds left to play. 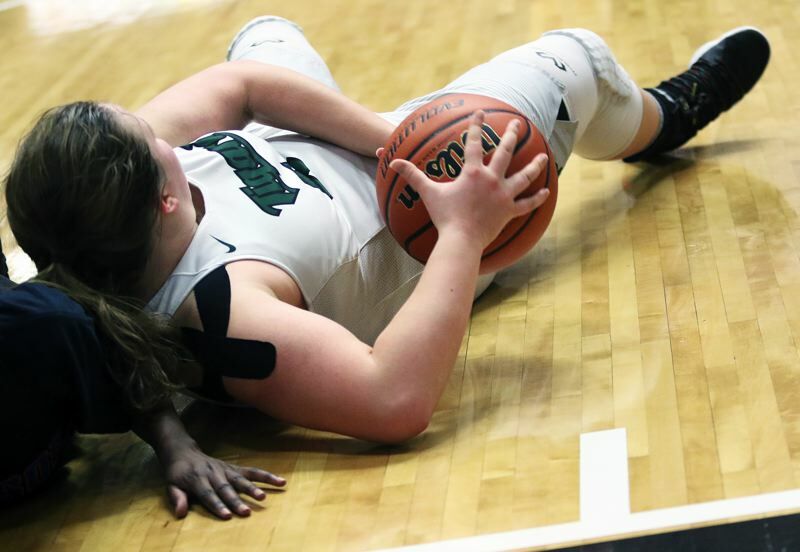 Tigard, which had to foul over and over again to get Benson into the one-and-one bonus situation, had a chance after Yoakum missed the front end of a one-and-one, and Tigard junior post Dani Lyons grabbed the rebound. 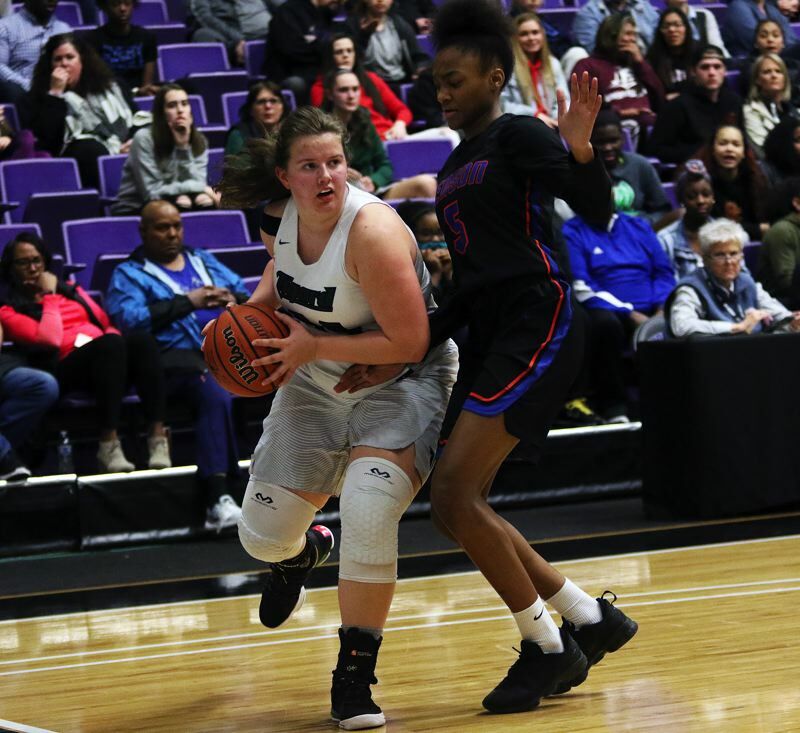 But, in a game filled with defense, Lyday may have came up with the biggest defensive play of the contest, stealing a Tigard pass with 18 seconds remaining. 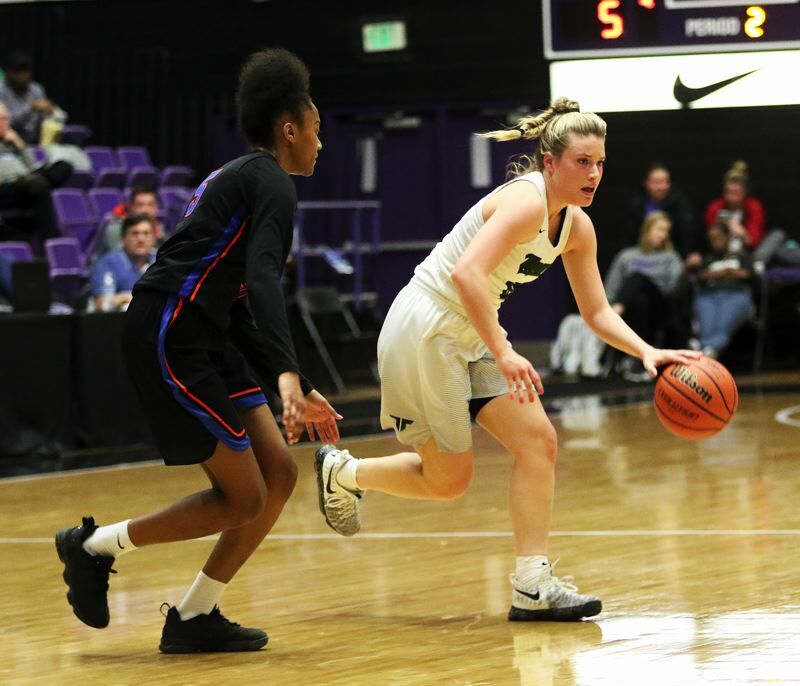 Lyday, who was immediately fouled, sank both of her ensuing free throws with 17.1 seconds left to play, helping Benson wrap up the 32-28 victory. "We want to get off to get off to a good start, and, when we don't it makes it a lot harder," LaFountain said. "But we did a good job of fighting back. They're just bigger. They're quick." "It was a really tough match-up for us," Leavitt said. "I thought we played really hard, but we didn't shoot very much. They had a lot of pressure on, and we just couldn't get it going." "You have to play perfect coming back, and that's tough to do against their defense," Naylor said. "I didn't just think we'd come here and just score 28." LaFountain had a strong overall game for the Tigers, with six points, nine rebounds and four steals. Gray had seven points and eight rebounds. Brown had five points and McGaughey had five rebounds. Tigard, as a team, made seven of 31 shots from the field, with three 3-pointers, and 11 of 21 free throws. Lyday had 15 points and 10 rebounds for the Techsters. Benson, as a team, made 10 of 37 shots from the field and 11 of 19 free throws. Tigard is looking to bounce back on Thursday, when it faces Sheldon in a consolation bracket semifinal. "In locker room, we were talking about how we need to start over and not hang our heads," Leavitt said. "We're going to try and win tomorrow, so we can keep going and hopefully play on Saturday."